Imagine every cell in your body vibrating with energy. Reiki energy stimulates cells to vibrate at higher frequencies. When this energy becomes affected by interference it influences the vibration or energy of your cells and can reduce their performance, which may eventually lead to disease. Reiki inherits to its natural strength that 'vivifies' (quickens and enlivens) everything. Reiki treatments raise the vibrational frequency of the beneficiary and clears blockages that disrupt the energy flow, allowing healing to begin at a cellular level. The energy supply is immeasurable. It is unaffected by the channels and flows through him/her to wherever needed in the receiver. 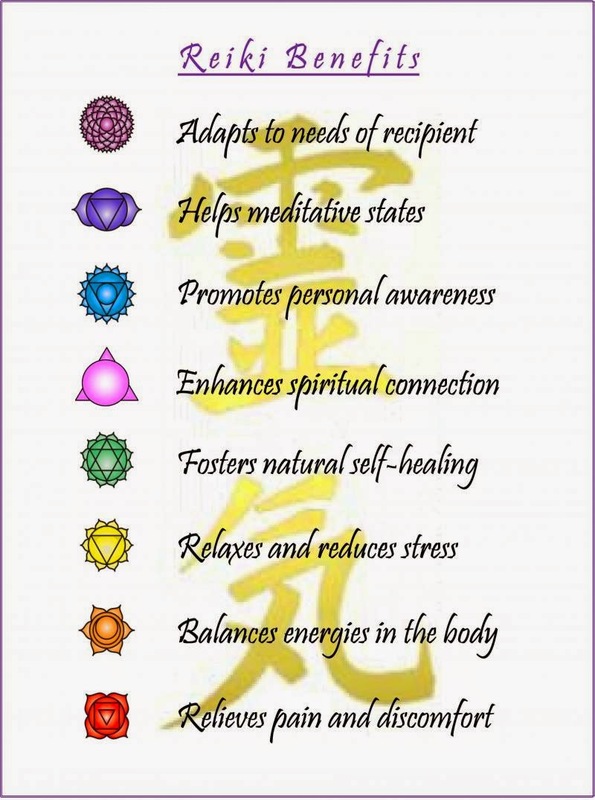 The nature of Reiki is that it can only be beneficial. As healing continues, the client may (probably will) start to look at areas of his/her life that have been difficult in some way and take practical steps to address these issues. This of course will affect the people around the client who might prefer the situation to remain unchanged. 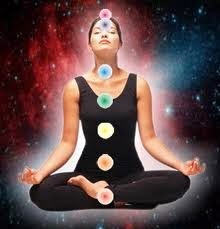 There's many ways to balance and heal the chakras. Listed below are a few ways I balance my chakras when I feel unbalanced or stressed. I have found breath meditation is one of the most effective ways to encounter the deeper levels of meditation and quiet the mind. In my experience, the most effective way to quiet the mind with breath meditation can also be the most challenging. Although it sounds simple it’s not easy to do. This type of meditation, you simply “follow your breath.” Follow it; simply and quietly follow of your breath. Since your breath is intimately connected to the energy in your body. Guided chakra meditations exercises can help to get the energy in your body flowing freely. For example, I practice guided meditations with visualization exercises to move and remove negative energies, and introduce healing energy to balance the chakras and aura. Yoga is a healing method that can be used to open the chakras through postures and movement. Yoga involves different types of poses or stretch sequences that are designed to target different areas of the body. For example, if you have heart chakra that is closed or unbalanced, trying yoga exercises that target opening the chest will help to release any blocked energies within the heart chakra. Repeating yoga poses over time will help balance the energies in the body and in problem areas along with increasing peace of mind. Did you know that every thought you think, every attitude you hold contributes to your happiness and well being? Affirmations help to reprogram your mind for well being, success and happiness by using Positive, Focused statements.